Acupuncture is a drug free option for pain management. 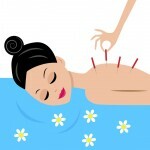 The main objective of acupuncture is to assist the body in healing itself. Acupuncture has been used for thousands of years in Chinese medicine and has become very popular with Western practitioners, especially in light of the current opioid crisis. According to Traditional Chinese Medicine there are pathways or meridians that run throughout the body which include acupuncture points. During the course of treatment Dr. Ison will determine which acupuncture point needs to be addressed for a specific problem. An ultra thin needle will be inserted into the appropriate point. An acupuncture visit will include an exam and consultation with Dr. Scottie Ison to tailor an acupuncture treatment plan which will address your individual needs. You may be asked to wear a gown so that the appropriate acupuncture points can be accessed. Sometimes the appropriate points are far removed from the area where the patient is feeling pain. Once the appropriate acupuncture point or points are identified, the ultra thin needle will be inserted into these strategic points. Since the needles are so thin, the insertion usually causes little discomfort. The number of needles varies depending on your individual needs. After a period of time, Dr. Ison will gently move or twirl the needles to maintain the tension or stimulation. Acupuncture sessions can take twenty to thirty minutes or longer depending on your needs. During this time the patient lies still and relaxed. Then, the needles are removed with usually no discomfort. Generally a treatment plan includes a series of 6 to 12 visits, once or twice a week. If you are interested in acupuncture treatment or have any questions, please give us a call at 863-646-5707.